ISRAEL = A DISCREDIT TO AMERICA | Concise Politics -- Your Time should NOT be wasted. ISRAEL LOBBY = Blocks reports and criticism of Israel’s war crimes against the Palestinians = USING “anti-semite” accusations. ISRAEL LOBBY = Violates Christian morality imposing instead the evil that the Israel Lobby represents. ISRAEL LOBBY = Calls the criminal, Benjamin Netanyahu’s genocidal lies and propaganda his “Speech Of A Lifetime” = Unspeakable evils. 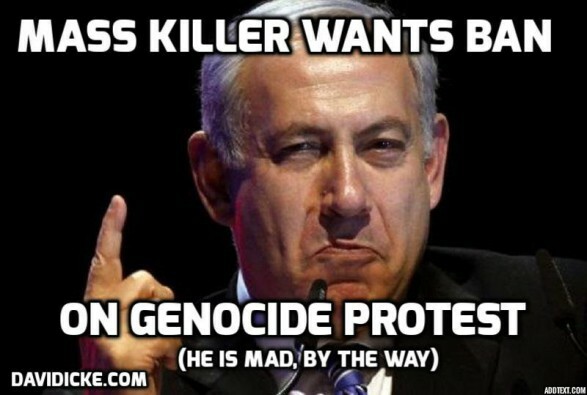 ISRAEL LOBBY = MURDER + MISERY + HUMILIATION ARE TO BE ENDURED BY “NON-JEWS” = 2,300 Palestinians MURDERED + 17,000 Wounded = Worst carnage since 1967 + 500,000 Palestinians displaced from their homes + Detentions of Palestinians inside Israeli prisons = Most in five years = ISRAELI MURDER MACHINE 80+% OF ISRAELIS WANT THIS SAVAGERY = SUPPORTED BY USA that drone strikes wedding parties. ISRAEL LOBBY = $1.6 TRILLION FROM PMIDDLE CLASS AMERICANS (1972 to 2003) + Each year Congress drops another cool $3 Billion on Israel and ISRAELIS DEMAND MORE! = 33% of Israeli arms budget = Protection money paid to a gangster organization. ISRAEL LOBBY = HARVARD LAW = Netanyahu’s most fervid American disciples = Ted Cruz + Tom Cotton = Harvard Law incubator of Zionist like Alan Dershowitz. HARVARD LAW = Scarcely a micron of daylight between Ted Cruz and Elizabeth Warren = Work overtime to demonstrate her unrivaled fealty to the Jewish state. ISRAEL LOBBY = BUILT IN ZIONIST SUPPORTERS arrived pre-conditioned to demonstrate their devotion to the Israeli cause + PAC money is JUST A BONUS to the hookers blackmailed with indiscrete cell-phone photos. ISRAEL LOBBY = Coversup Israel assassinates of Iranian scientist(s) + Use of chemical weapons in Gaza + Torture of Prisoners + MASS MURDERS of Children + Murders a young American peace activist + ATTACKS burial parties + Attacks USS Liberty + Caught REPEATEDLY spying on American president + ROBBING NUKE AND NATIONAL SECRETS AND NUKE TRIGGERS + A KNEE-JERK CONGRESS THAT COMMITS CRIMES FOR ISRAELI NEOCONS + COVERSUP 911 PLANNED BY ISRAELI-NEOCONS. This entry was posted in ISRAEL = A DISCREDIT TO AMERICA and tagged ISRAEL = A DISCREDIT TO AMERICA. Bookmark the permalink. ← CAPITALISM HAS MUTATED INTO MONOPOLY OWNED GOVERNMENT WELFARE TO MULTINATIONAL SCAMMERS = SELF-DESTRUCTION! WHEN IS THE ONLY QUESTION?